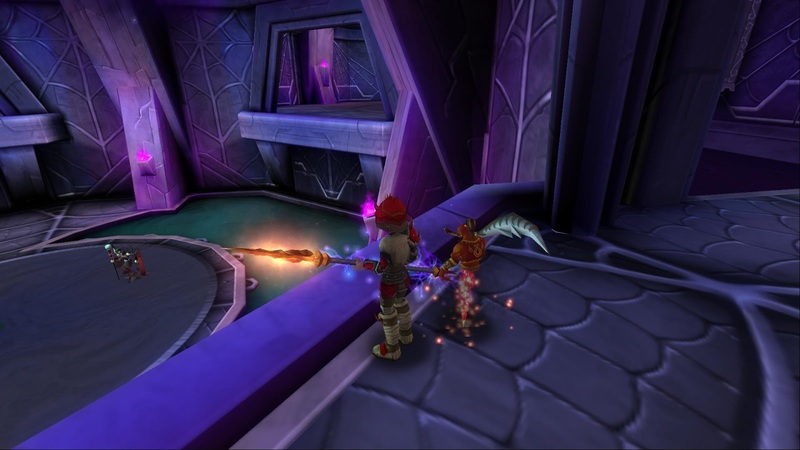 Around the Spiral with Edward Lifegem: Shadow Palace Part 1: The Galleries! Shadow Palace Part 1: The Galleries! I hope you had a great Friday! It's finally the weekend and that means I have plenty of posts since I'm not as busy as I usually am during the weekdays. I'm excited about today's post since Autumn Dreamwalker and I went through a dungeon that we've never really been through. 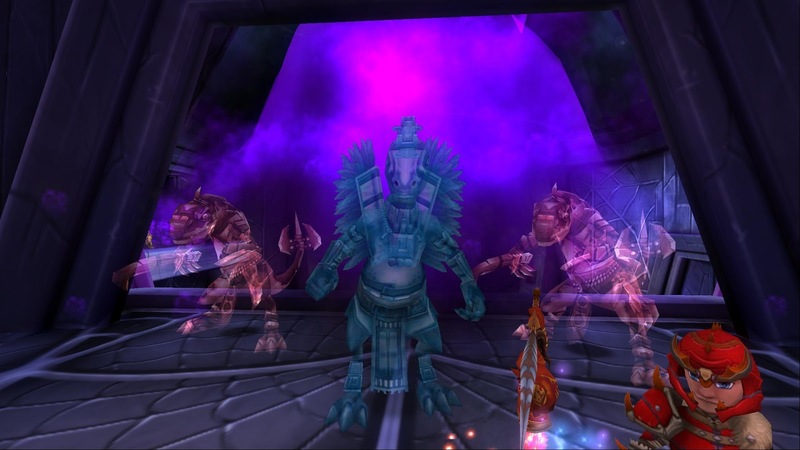 I'm sure most of you are already familiar with the Shadow Palace, the last dungeon of Khrysalis . 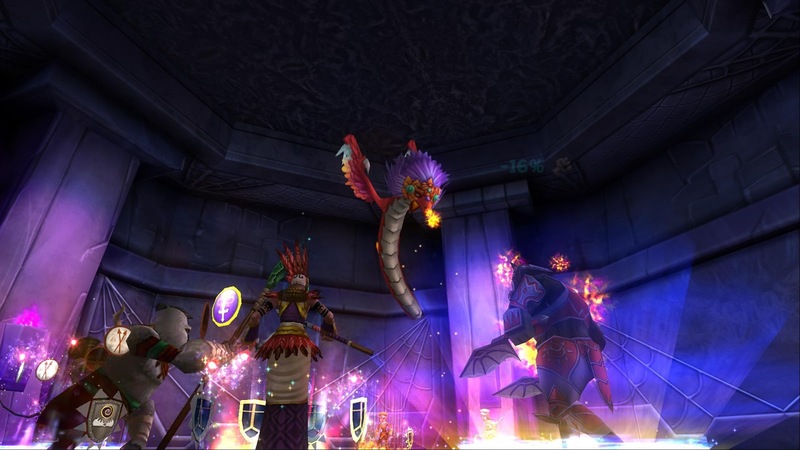 We have a few exalted wizards but haven't had a chance to quest all the way through the game... A few months ago we decided to quest again so we could make it through the end of Khrysalis. I'm sure there are many people that are already ahead, but I still wanted to make this post to share my thoughts about the Shadow Palace fights and ultimately the end of Khrysalis. Today we had to quest through the Galleries area in the Shadow Palace and fight many cheating bosses to free the lords of night/stop them from continuing Morganthe's song.. 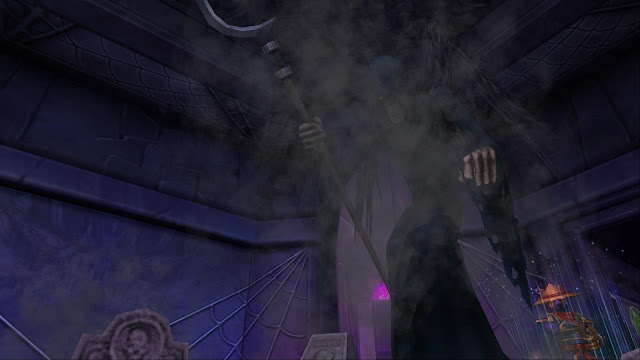 The second fight also had two Bosses, Santa Muerte (a Death Boss) and Balor the Broken Fang (a Storm Boss). They also summoned two minions to help them, but minions were not the enemies to worry about during this fight. Balor cast a -70 tower shield on himself or even another teammate but we had Shadow Magic to take care of that. :D I had to cast another Serpent on him first since he kept protecting himself and everyone on his side. Santa said we needed to be afraid of him but he wasn't as much as a problem as Balor was. :P This fight was difficult at first only because of that tower shield Balor would cast every two rounds. 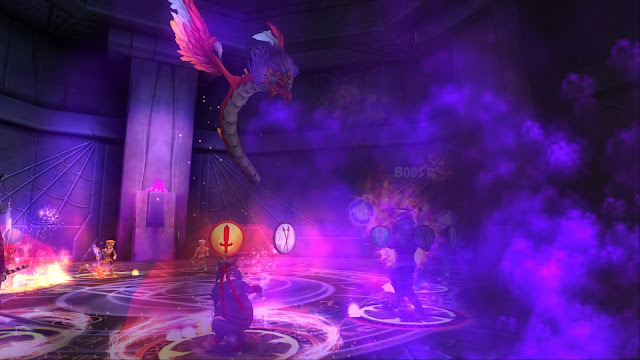 We didn't have too many issues during this battle, because Autumn had her life wizard keep us alive during the fight. I can't imagine handling two accounts during this dungeon because it was already a headache with some pretty awesome drops (jewels and gear). The last fight was so difficult I didn't even feel like taking screenshots! We had to focus on the battle since there were two balance bosses, Archmagus Lorcan and Lord Ombra, and these bosses had some pretty tough cheats. Archmagus Lorcan had a cheat that summoned two minions and when his health got low enough, the minions would sacrafice their lives and give 1,500 health each to Archmagus. On top of that, Lord Ombra kept casting a mana burn that steals pips on us and that made it harder to hit an enemy. We decided to hit Lord Ombra first with a Sun Serpent since he was taking pips from us. My Sun Serpent hit actaully did more damage than the first fight, with a whopping 99k damage (that's amazing to me)! After defeating Lord Ombra we had to attack Archmagus so he couldn't heal or summon anymore minions. This fight was difficult but we both made it through! Autumn didn't hit as much during this dungeon, but there no way my hits would have done any damage without help and I wouldn't have been able to make this post without her life wizard healing us when we were low on health. Thank you Autumn for your hard work too! :D This dungeon was a lot of fun, but was challenging because it was the first time we went through it. I really would like to thank Duelist101/ Heather Shadowslinger for publishing that article because there's no way we would have even made it through without knowing the cheats! Today was a lot of fun, and I really did enjoy this part of the dungeon! I know most of you went through this dungeon already, but I wanted everyone to know how we made it through the very first time going through. :) Thank you for reading and until my next post, I'll see you around the spiral! Your screenshots were excellent as per usual. Wonderful to be able to take the journey with you. Thank you for the time and effort it took to post. 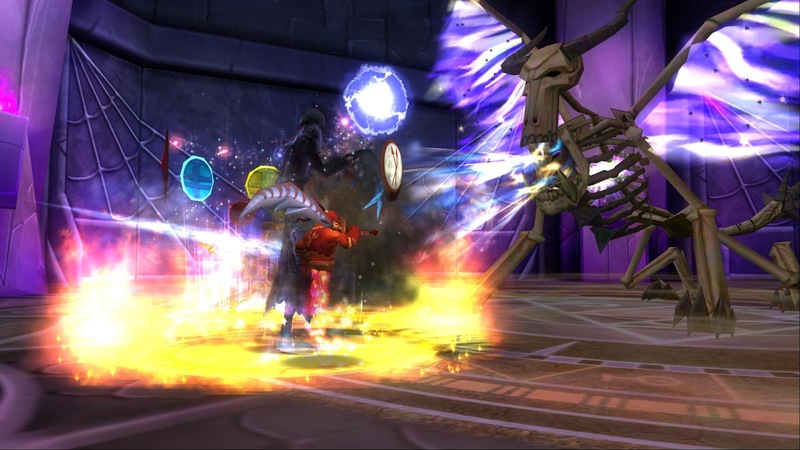 Pirate101 Test Realm: Mysterious Trainers! 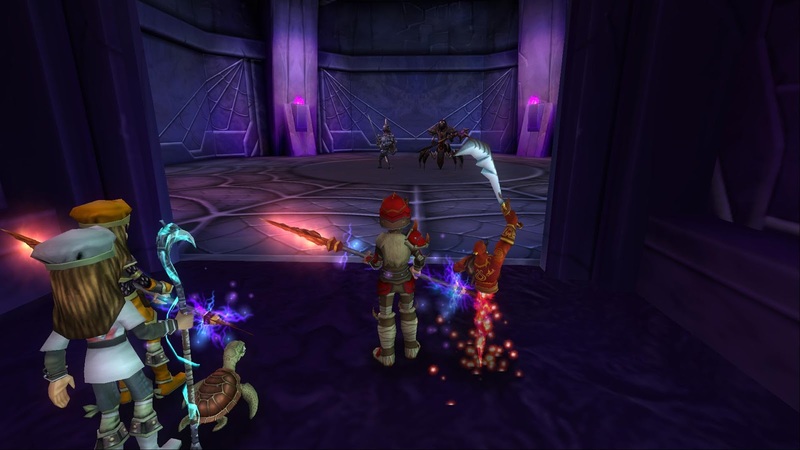 Pirate101 Test Realm: The Nautical Gauntlet! Wizard101 Shark Week Contest Winners! Pirate101 Shark Week Contest Winners! My Death Wizard Finished Zafaria With Help!